Arca Noae is pleased to announce the immediate availability of our ACPI Driver Package for ArcaOS, OS/2, and eComStation version 3.23.08. This release contains minor updates including updates to the ACPICA module from Intel. This is a non-critical update but will bring the ACPI software in your system up-to-date with the recently released version of ArcaOS. If you have ArcaOS version 5.0.2 then you already have this update. This entry was posted in Arca Noae, New software releases, News and tagged acpi, acpica, components, ioapic, shop, store, tech, update on February 20, 2018 by David Azarewicz. Arca Noae is pleased to announce the immediate availability of our Panorama Video Driver Package for OS/2 and eComStation version 1.10. This is a maintenance release containing minor installer and screen object enhancements. This update is not critical but will bring Panorama in your system up-to-date with the recently released version of ArcaOS. If you have ArcaOS version 5.0.2 then you already have this update. More information about the Panorama Package may be found in the Panorama wiki. This entry was posted in Arca Noae, New software releases, News and tagged components, display, driver, generic, panorama, shop, store, tech, update, vesa, video on February 16, 2018 by David Azarewicz. Arca Noae is pleased to announce the immediate availability of our new ArcaOS Bootable USB Stick Image 2018-02-12 Package. This package follows onto the included USB stick creation utility shipped with ArcaOS 5.0.2, allowing you to create a bootable USB ArcaOS 5.0.2 installation stick without a running OS/2 system. The package includes native binaries to restore the stick image from Windows, Mac, and Linux, as well as OS/2. Once the image is restored, eject, re-insert, and simply copy your personalized ISO (separately downloaded) to the stick per the included directions, which are also detailed in the ArcaOS support wiki. The stick may then be inserted into any USB 2.0-controlled port in the target system, which is then booted into the ArcaOS installer. If you are still running OS/2 and/or eComStation systems and haven’t yet moved up to ArcaOS, this is a great time to do so. It’s never been easier to install any OS/2-based operating system. This entry was posted in Arca Noae, ArcaOS, New software releases, News and tagged arcaos, blue lion, bootable, entitlement, image, stick, tech, update, USB, utility on February 12, 2018 by Lewis Rosenthal. This entry was posted in Arca Noae, ArcaOS, New software releases, News and tagged arcaos, blue lion, refresh, subscription, update on February 10, 2018 by Lewis Rosenthal. Prioritization of installed/updated packages, and prompted rebooting (should eliminate various problems when updating all packages). Export & import of package lists, designed to make it easier to keep different systems in sync or when a complete refresh is required. Fixed problems filtering out spurious checksum messages. Improved error message formatting overall. Program now gracefully handles bad or offline repositories. Secure repositories can now be disabled/enabled in Repository Manager. Some changes to menu names and arrangement. Improved and expanded help guide. Various bug fixes and other minor improvements. Arca Noae Package Manager is available in English with Spanish, French, Italian, German, Dutch, and Swedish language packs. Some have added help file translations in this version. This open source utility is available to everyone, free of charge, regardless whether you have an Arca Noae software subscription or an ArcaOS license. Please review the wiki for important first-time installation and upgrade notes and other tips. This entry was posted in Arca Noae, Community, New software releases, News on January 20, 2018 by Lewis Rosenthal. This release of Uniaud32 also implements MSI support. MSI only works with the ACPI PSD version 3.23.04 or higher. It is not required to use the ACPI PSD with Uniaud. If you don’t use ACPI then Uniaud will just use normal interrupts. 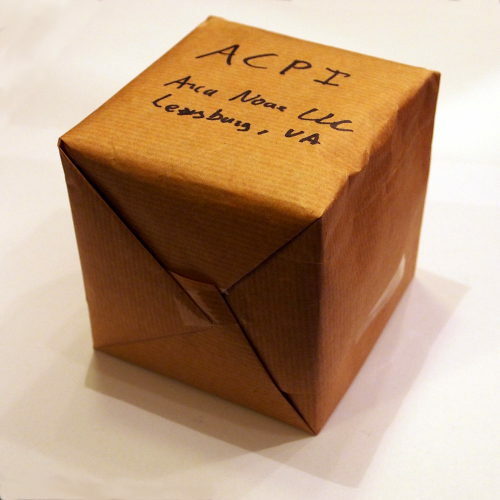 If you are using the ACPI PSD, it must be version 3.23.04 or higher or your system may trap. If you are using an earlier version of ACPI, upgrade ACPI first before installing this version of Uniaud. More information about the Uniaud Package may be found in the Uniaud wiki. This entry was posted in Arca Noae, New software releases, News and tagged audio, components, driver, generic, shop, sound, store, tech, update on January 18, 2018 by David Azarewicz. Any installed Arca Noae drivers and software continue to function normally (including ArcaOS). Any drivers and software which have already been downloaded may be installed and will function normally (including ArcaOS). All free Arca Noae RPM repositories continue to work. Free downloads from the Arca Noae site will remain accessible. An expired subscription cannot be renewed. You must buy a new subscription if yours expires. An expired subscription will not have any downloads available. Any subscription-only Arca Noae RPM repositories will not be accessible. Bug tracker will not be available. 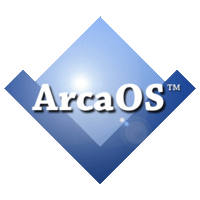 Arca Noae is committed to keeping ArcaOS and other OS/2 distributions usable on modern hardware. New device drivers are in active development and support is always available to subscribers. Renew early to receive the best value for your investment. This entry was posted in Renewals, Subscriptions, Tips and tagged account, arcaos, blue lion, components, driver, entitlement, os/2, software, support, update on December 29, 2017 by Lewis Rosenthal. Arca Noae is pleased to announce the immediate availability of our AHCI Disk Driver Package version 2.04 for ArcaOS, OS/2, and eComStation. This is a maintenance release that contains minor fixes and updates. Fixed the IOCtl pass-thru interface. Tools such as smartctl use this. Removed the old smartctl program from the distribution. This entry was posted in Arca Noae, New software releases, News and tagged components, disk, driver, generic, shop, store, tech, update on December 14, 2017 by David Azarewicz. What also happens when a subscription expires? The installed ArcaOS system, drivers, and any related software continue to function normally. Content from the relevant Arca Noae free repository/ies will continue to be accessible (arcanoae-rel, and even for those with separate access, arcanoae-exp). Subscribing again after a subscription has lapsed requires a new purchase. NOTHING ALREADY INSTALLED WILL STOP FUNCTIONING AS A RESULT OF A SUBSCRIPTION EXPIRING. NOTHING. REALLY. We still highly recommend maintaining subscriptions. The hardware landscape continues to change, and Arca Noae is committed to keeping ArcaOS and other OS/2 distributions viable on today’s and tomorrow’s hardware as long as possible. New device drivers are in active development to extend the useful life of any OS/2 system, and support is always available to subscribers, as well. Renew early to receive the best value for your investment. This entry was posted in Subscriptions, Tips and tagged account, arcaos, blue lion, components, driver, entitlement, os/2, software, support, update on December 11, 2017 by Lewis Rosenthal.